Sorry for the long layoff, friends. Sucking wind as the first leg of the MFD book tour winds down. Had a great talk and signing at Cleveland's Brooklyn Library last night. Thanks to all who packed the house and to the Cuyahoga County Library for putting on a successful event. That's about it for local appearances here in Ohio. Think I've reached the saturation point. I have a break for the rest of July. 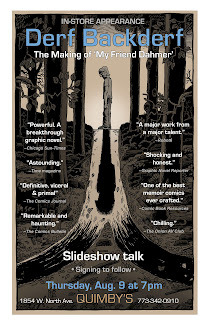 Next stop is Chicago and the awesome Quimby's Books on Thurs., Aug 9 at 7 pm for my slideshow talk and a signing. Really looking forward to that one. 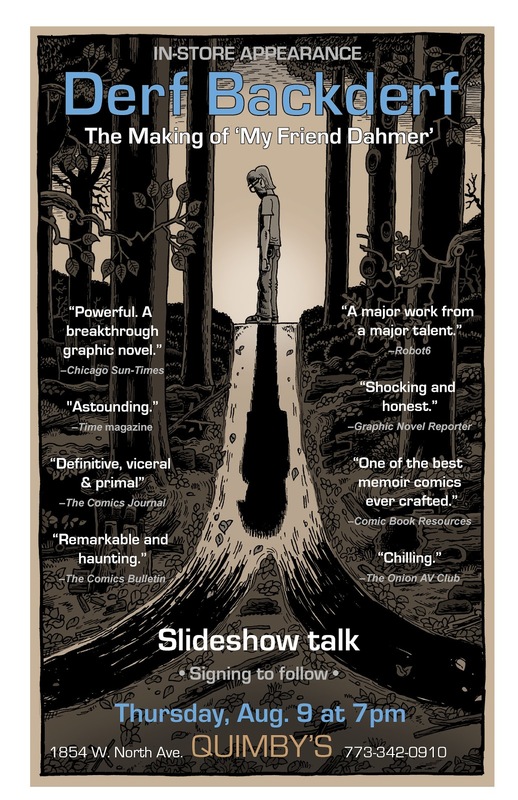 The book tour picks up again in the Fall, with appearances at the SPX Comix Fest in DC, the Miami Int'l Book Fest and the annual Conference of English Teachers in Las Vegas. Details to come, and very likely more events to be added. Stop on by if you're near any of these places. Always happy to meet readers and fans.